Prevention is often the best cure. Not drinking and driving decreases your chances of causing a drunk-driving accident by 100 percent. Putting your phone away and paying attention to the road prevents tragedies – the kind we see every day. 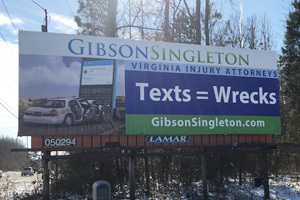 At GibsonSingleton Virginia Injury Attorneys, we try to stop accidents before they happen. That's why we launched our "Texts=Wrecks" campaign last year – to save lives. But we need your help! We strongly believe that the next generation is a great one, and that you will be leaders in changing the way America drives. So we want to hear your best ideas – including things you've already tried that have worked – to help yourself, your family members, and your friends drive more safely. For inspiration, check out last year's winner. We're offering a $1,000 scholarship for one high school or college student anywhere in the United States who we believe answers our call most effectively. Our deadline to apply is May 16, 2019, and we will announce our winner on June 13, 2019. 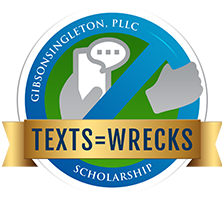 At GibsonSingleton Virginia Injury Attorneys, we're passionate about preventing accidents by encouraging people to make smart choices – like choosing not to drive while distracted, or while under the influence of alcohol or drugs. As a college student, what can you do to help combat the epidemics of people driving while distracted or under the influence? What will you do or say when you get into a car, and your friend who's driving starts using her smartphone? Or having a beer? How have you made – and how can you make – a difference? 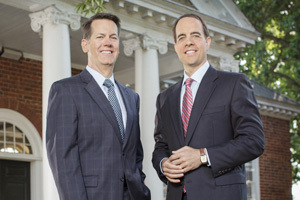 Copyright ©2019 GibsonSingleton Virginia Injury Attorneys - All Rights Reserved.